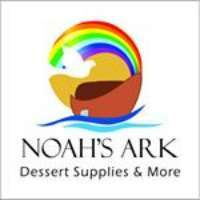 Noah's Ark Australia is the leading party shop in Bexley that supplies high-quality plastic ware to dessert and cake markers and also specialise in acrylics for all occasions. Noah's Ark Australia is the leading party shop in Bexley that supplies high-quality plastic ware to dessert and cake markers and also specialise in acrylics for all occasions. We want to make life just a bit more fun! Whether you are planning a huge event or just getting together with friends to watch the game, you'll find everything you need right here. Our top priority is to offer the best service to our customers at all times. We are committed to making your online shopping experience as user-friendly and as safe as possible. Planning to make your event memorable? Call or visit Noah's Ark Australia today and try our party supplies!